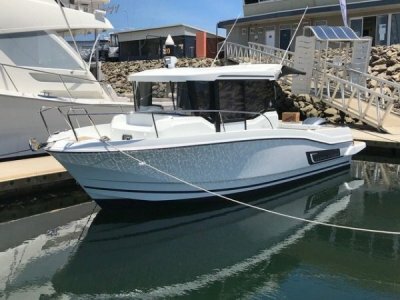 AU $118,900	Base price Need Finance? 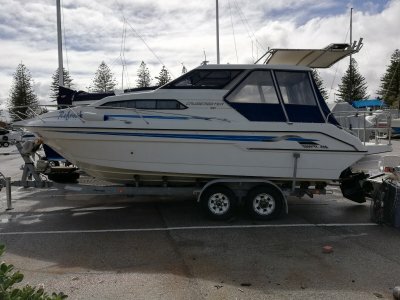 AU $118,900	Base price Need Finance? Need Insurance? 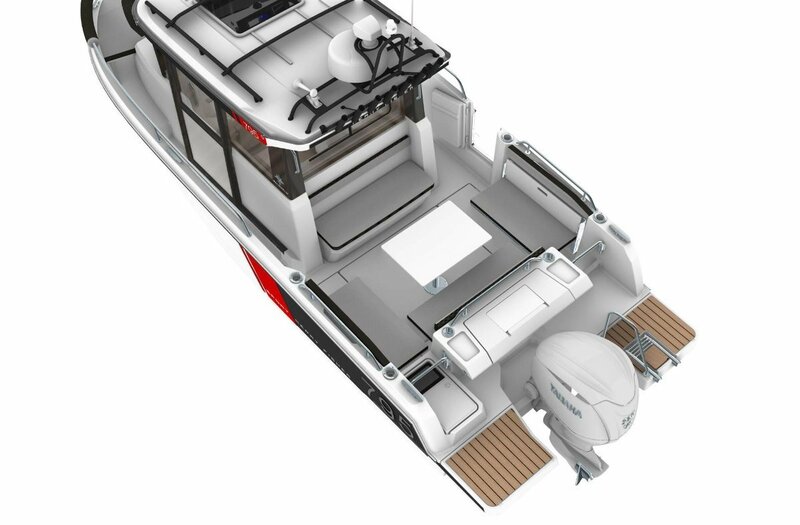 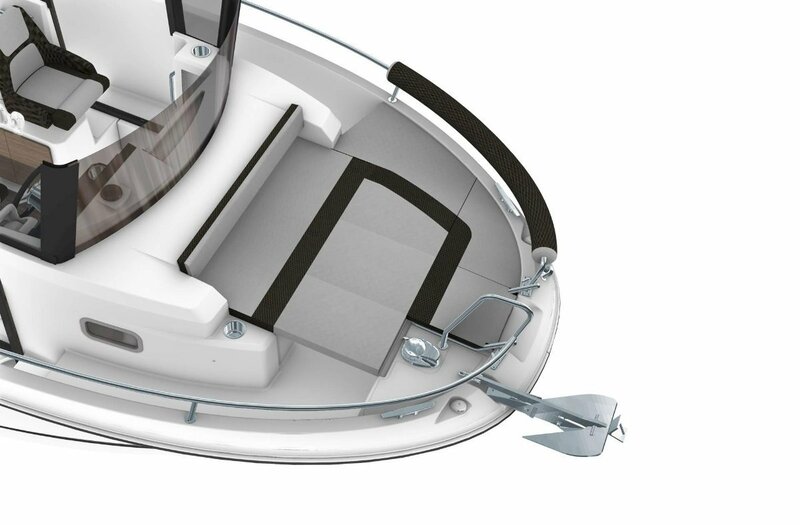 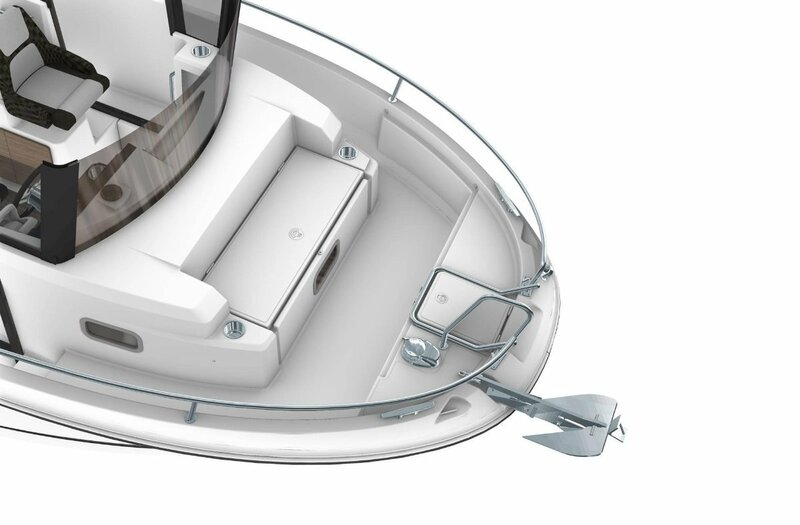 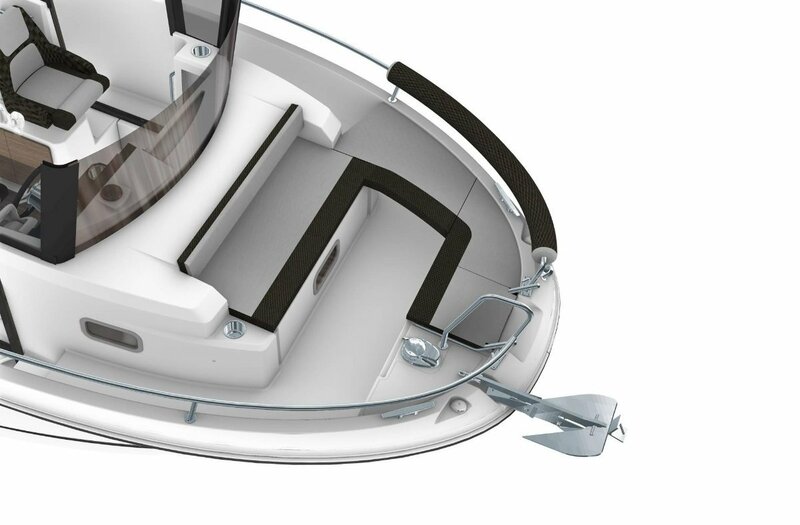 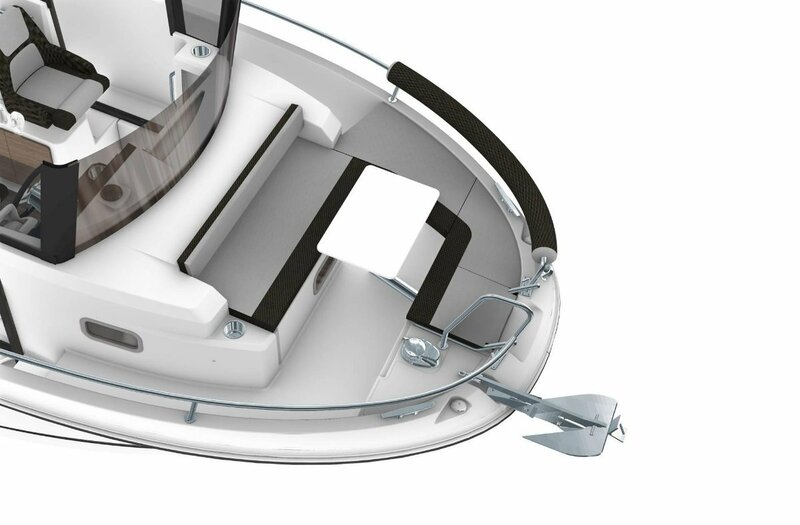 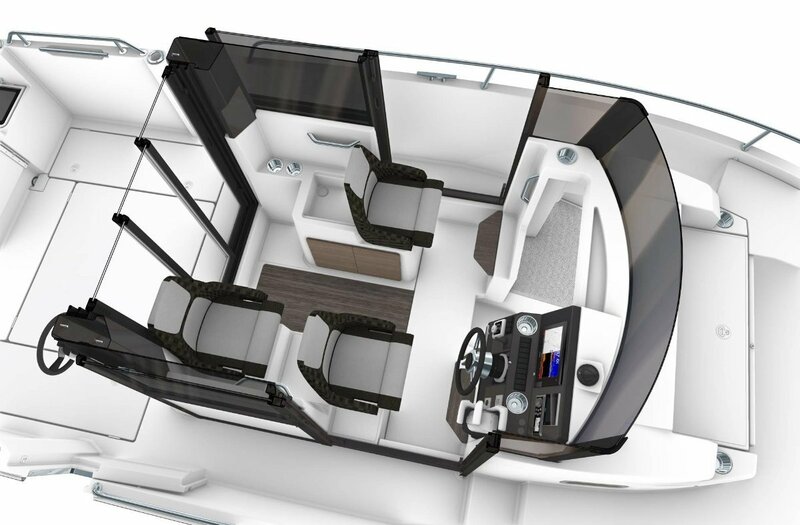 In 'fishing mode', she features a large starboard glass sliding door, an optional wide 3-panel sliding aft glass door, an optional wide port glass side door, and secure recessed sidedecks for safe and easy passage between the helm station and the cockpit. 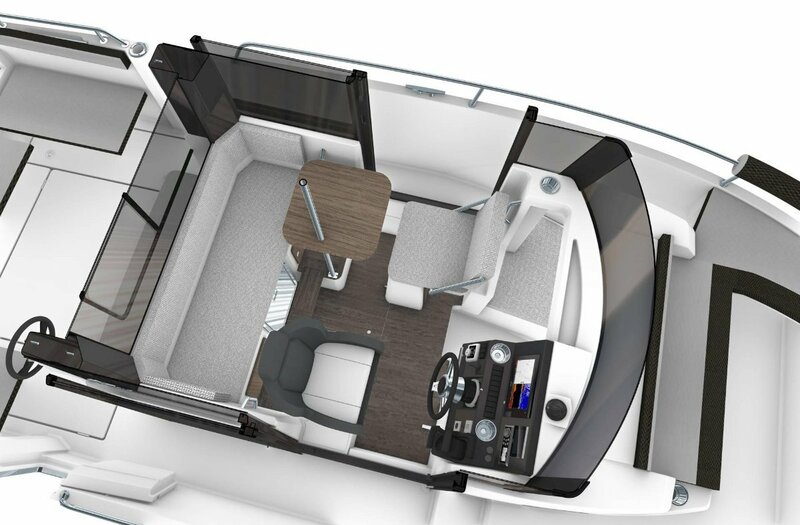 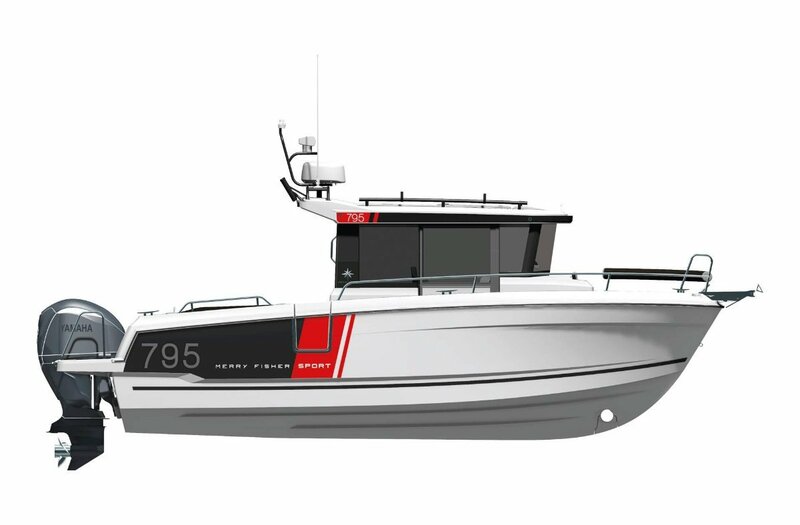 In 'family outings mode', the new Merry Fisher 795 Marlin combines comfort and shared spaces with a bench seat located just behind the wheelhouse, sheltered from the wind. 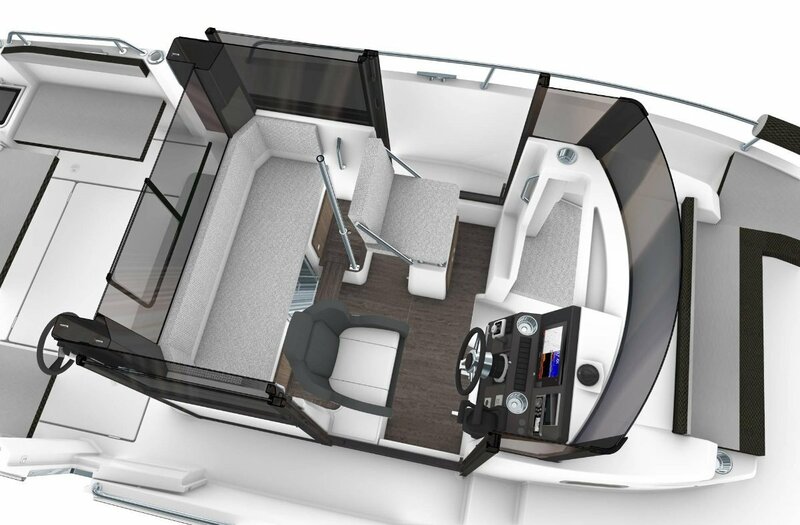 It faces the comfortable and even larger cockpit saloon, which transforms into a sundeck. 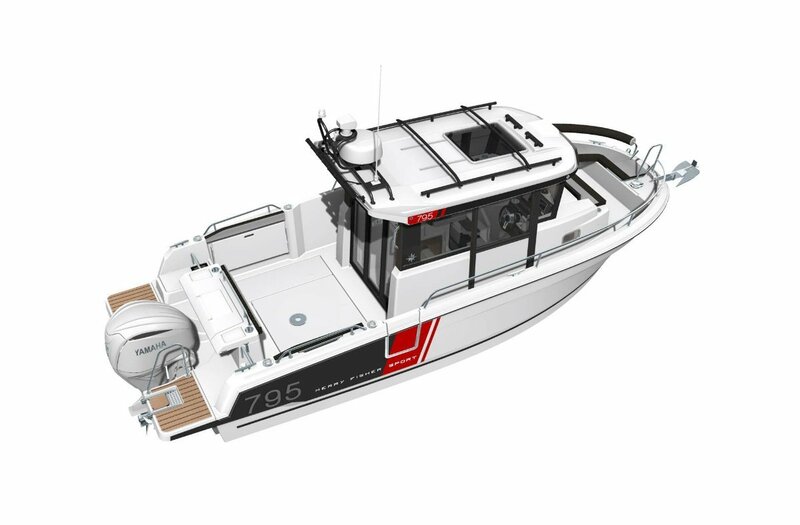 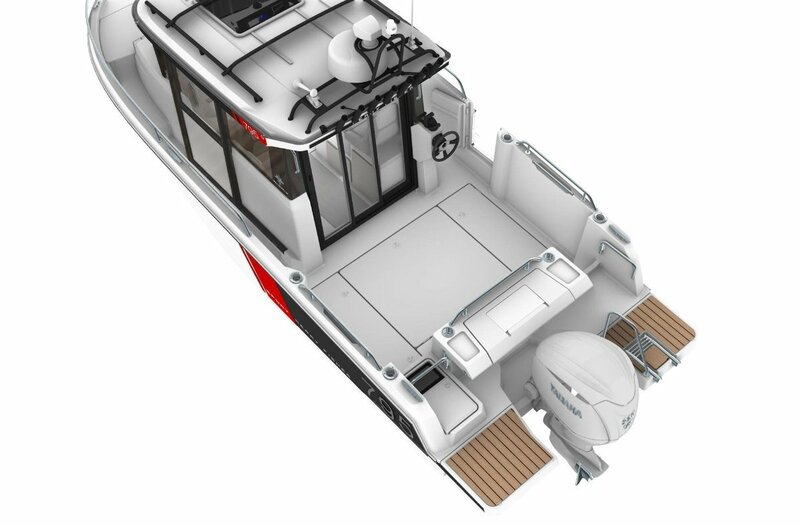 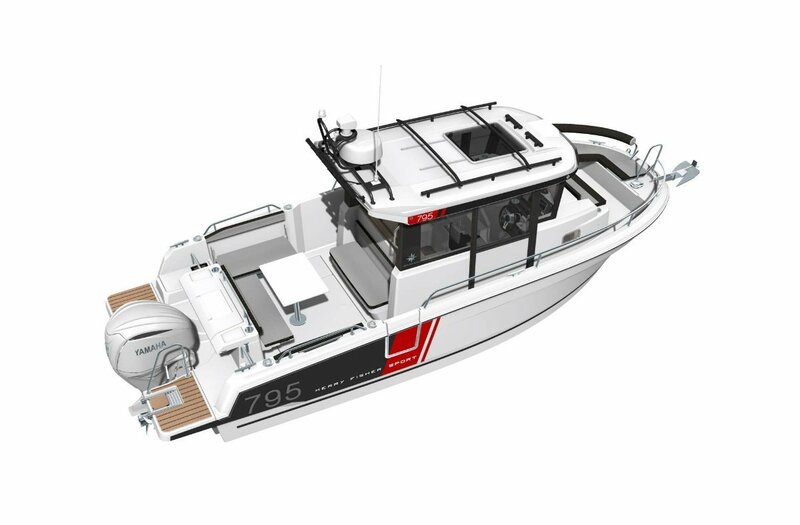 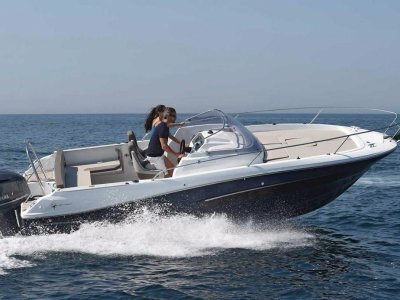 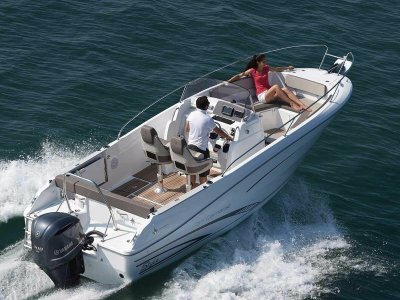 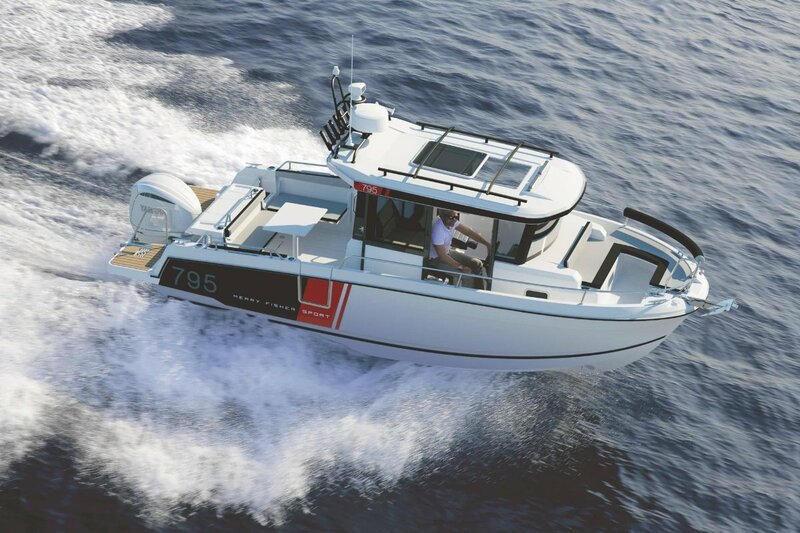 Note: The advertised price includes the factory fitted 'Premier Pack', hydraulic steering, engine pre-rigging/gauges with mechanical throttle control, a 175hp four stroke outboard, propeller, fuel filter, battery, GST, duty and local delivery within Melbourne.